Please be sure to fill out the Support Partner Form before you make your donation. 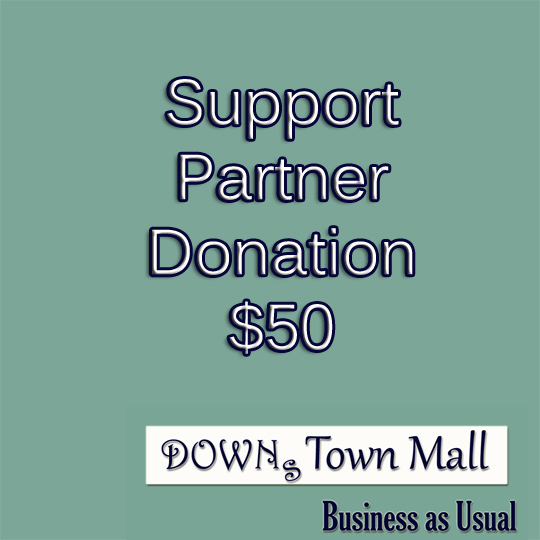 Your $50 (non-deductible) donation entitles you to a Mall listing page and one social media mention/month for the next 12 months. Note: This product is for businesses that offer products or services that support people with Down syndrome and their families (i.e. therapy, legal assistance, non-profit organizations, educational institutions). If your business hires people with Down syndrome, or provides services / products that promote Down syndrome awareness, please use the “Awareness Partner Form” and Donation Page.